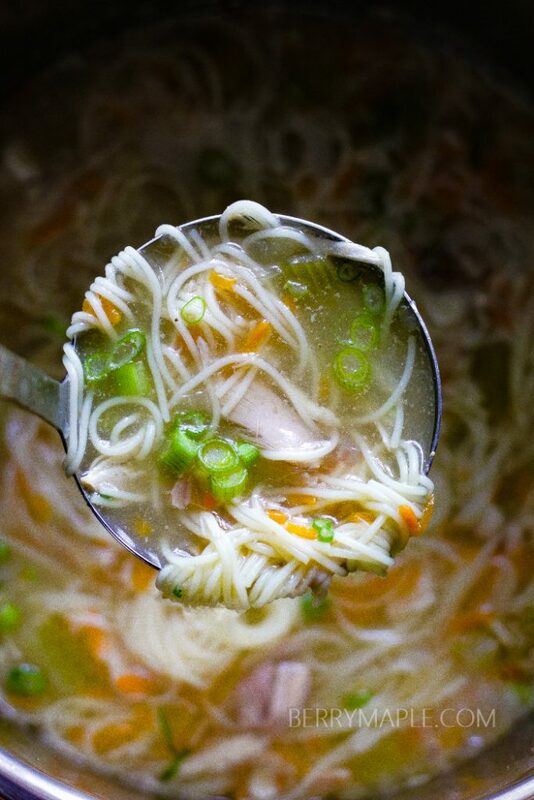 Delicious and full of flavor chicken noodle soup made in your amazing Instant Pot! What is the favorite winter meal? Probably most of us will say that its soup. What is the most popular kitchen gadget this year? Instant pot, no doubt! 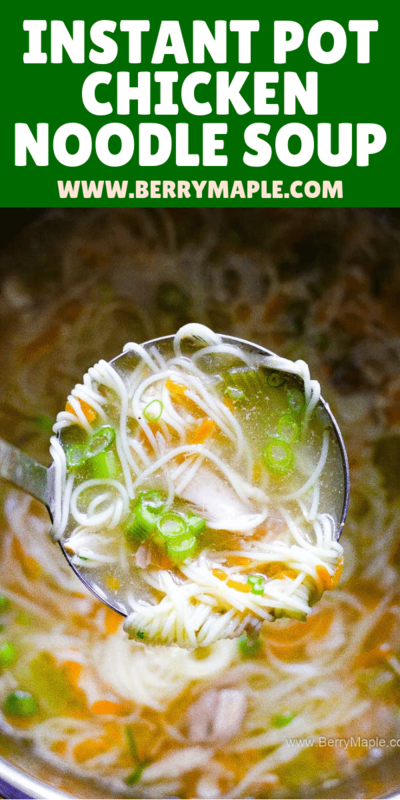 Cooking soup in Instant Pot is easy, time saving, the soup always comes out delicious and full of flavor. 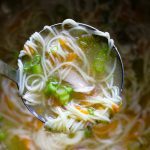 Chicken noodle soup in instant pot is my family favorite( especially my toddlers favorite) and very easy to make. Want to try another INSTANT POT recipes? Plug the Instant Pot in and turn on SAUTE function. Heat the oil. Add onions, carrots, celery and garlic, cook for about 5 minutes. Add dill if using, thyme, salt and pepper. Add whole chicken, breast side up, water and bay leaves. Turn off SAUTE, close and lock the lid and press on SOUP function. Adjust time to 40 minutes high pressure. Quick release. Open the lid, take the chicken out and separate it from the bones, shred it. Meanwhile add noodles to the pot, turn SAUTE function. Cook according to the instructions on the package. Add shredded chicken. 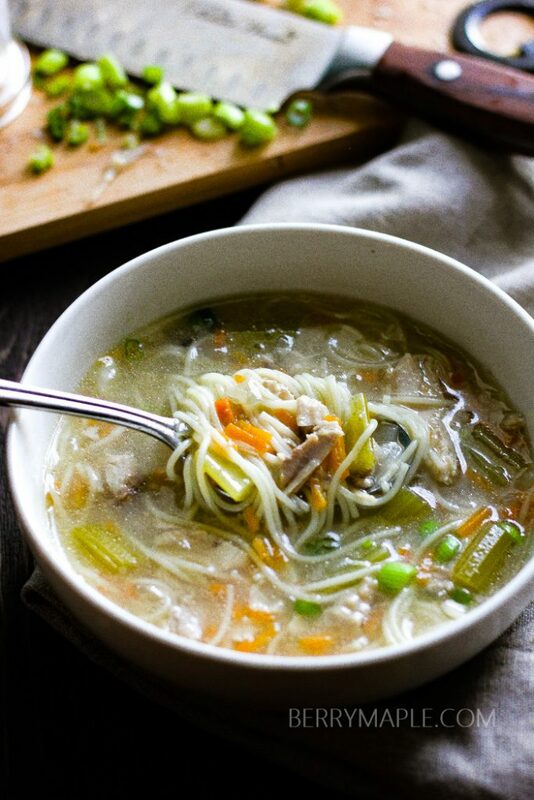 Amazing 7 INSTANT POT SOUPS you need to try.